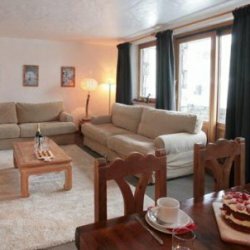 A unique quality small catered chalet apartment. 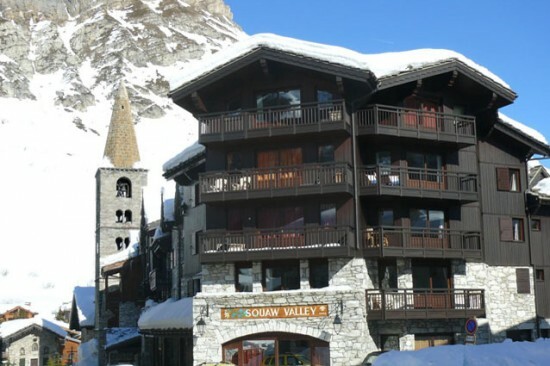 Right next to the main slopes and bang in the centre of everything the resort has to offer. 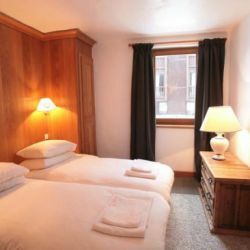 Two pretty bedrooms, each with own facilities. 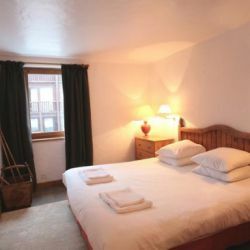 Both rooms can be made up as either a twin or a double (please specifiy which you prefer when booking). 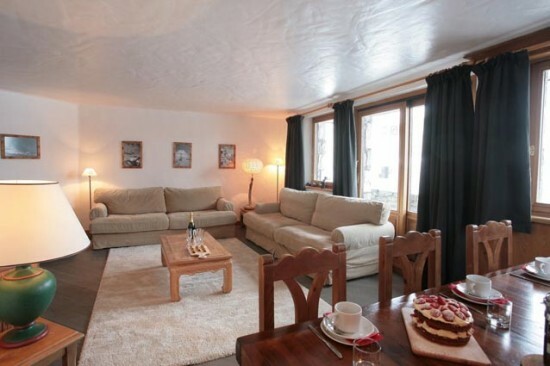 Sitting-dining room looking towards the nursery slopes and Bellevarde, with TV, DVD and WiFi. 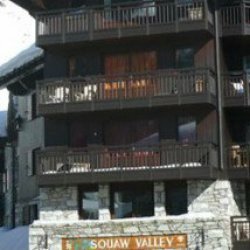 Convenient ski and boot locker downstairs reached by a lift. 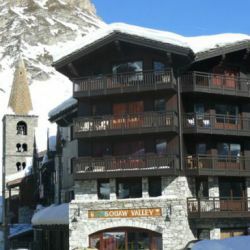 Beside the church, just yards from the slopes. 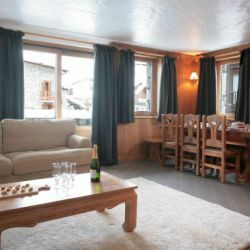 One chalet girl, who lives out. 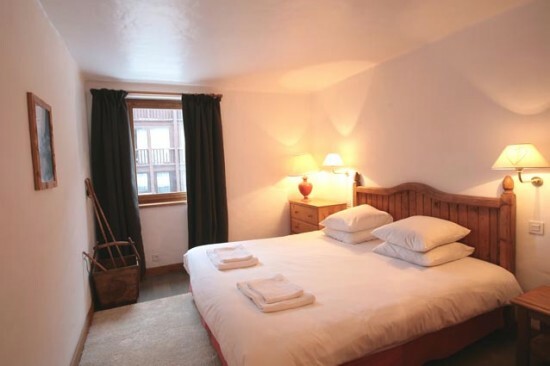 Bedroom 1: Twin/double (11' x 10') with smart en-suite bathroom and wc. 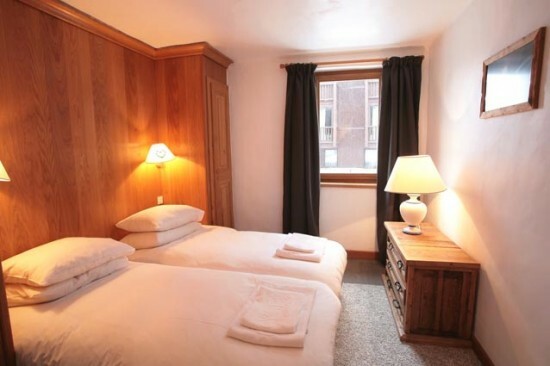 Twin/double (10' x 9') with en-suite shower-room and a separate wc outside the bedroom. 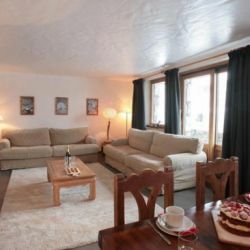 (20' x 13') Attractive room with two vast, comfortable sofas, windows and balcony looking towards the Face de Bellevarde. Separate kitchen. 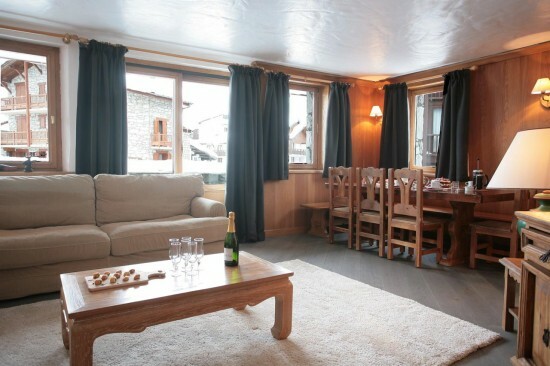 Prices from £650 - £2,070 per person. Sunday to Sunday. Damages deposit of approximately £100pp.